For many companies struggling to reconcile the likely financial implications of a no deal Brexit, Shinzo Abe’s announcement gives a least a little reassurance that Brexit won’t see us cast afloat with no safety net. So, what would becoming a member of the TPP mean for the skills sets of British business? Currently our position as a gateway for international businesses wanting to operate in Europe, means that the balance has been tipped in favour of British business. However, once this status is removed, the balance will tip and the onus to identify, tender for and negotiate deals will shift to British companies. 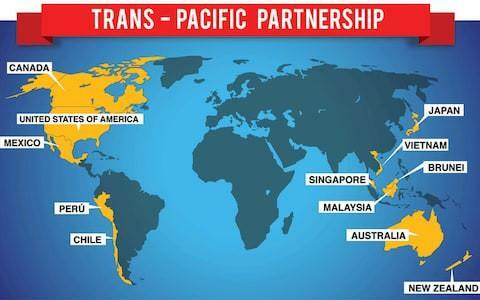 The 11 countries making up the TPP include Australia, Brunei, Canada, Chile, Japan, Malaysia, Mexico, New Zealand, Peru, Singapore and Vietnam. It’s not unfair to say that many SMEs have very little experience navigating business in these countries. It is precisely this lack of experience that will prove to be the most significant gap in the British skill set. Let’s take for example basic business processes such as negotiations, sales, leadership and even the running of meetings. The way that these business processes roll out in the UK and other parts of Europe can be fundamentally different to the shape they take in many of the TPP member countries. The way people negotiate in Japan for example is very different to the way in which people negotiate at home. In fact, some of the tactics that we consider completely acceptable in the negotiation process at home might well result in the loss of a deal if replicated in Japan. Pushing for deadlines, for example, and appearing to prioritise the deal above relationships will very likely result in the Japanese counterparts extracting themselves from the situation and withdrawing. As with Japan, another TPP signatory, Malaysia, also places considerable emphasis on the relationship. Once again, pushing to get things done and taking a ‘time is money’ approach will backfire and probably result in a break down of discussions. Malaysia is also a country that has a ‘high context’ communication style. What this means is that what is not said is often as important – and sometimes more important than what is said. Body language, eye contact and tone are key. Working to what is commonly accepted as a British communication standard in which we expect people to be fairly direct and clear in what they say will likely end up with British counterparts leaving meetings believing something quite different to their Malay counterparts. It’s useful to know for example, that a number of countries signing up to TPP might well say ‘yes’ to something to retain harmony with those with whom they are doing business when in fact they mean ‘no’ or ‘we’re unsure’. The only certainty for Brexit is that the way we do business will change. Those who are starting to prepare themselves for a different playing field going forward will, no doubt, be looking at their likely skills gaps and planning the way ahead. Those who take the time to learn about the business impact of cultural difference and the cultural dimensions shaping the different business processes will certainly put themselves at a competitive advantage in the long term. Understanding the different cultural approaches taken in different cultures is essential and cannot be underestimated. Essentially, poor cultural understanding can kill a deal before it’s even been discussed. Regardless of the deals that are finally struck during and post Brexit, British companies who are skilled in working globally and who understand the expectations and approaches of their international counterparts will undoubtedly do well. Where Will UK-based Businesses Go post-Brexit?